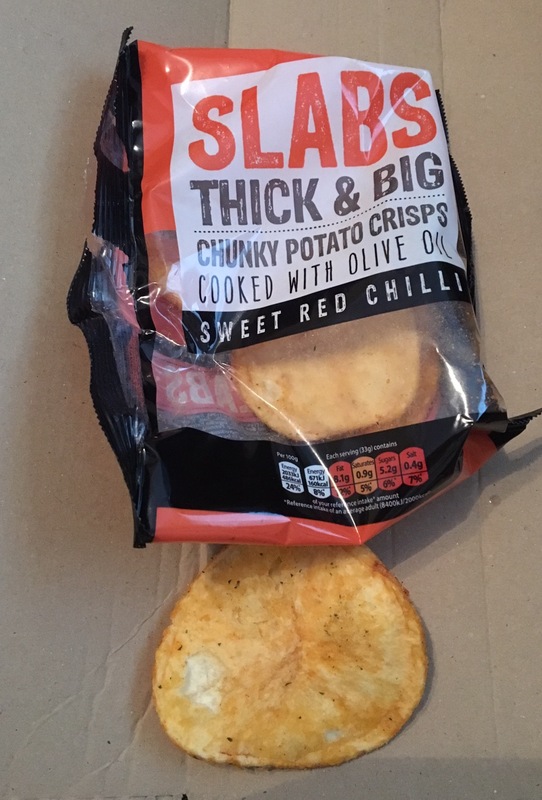 Slabs – the biggest crisps I've ever seen! 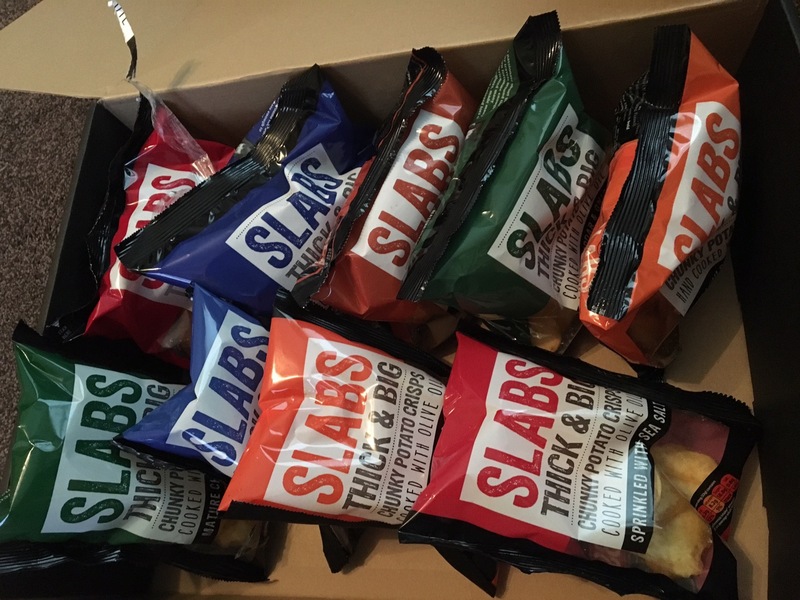 Anyone who enjoys a good old bag of crisps will love a bag of slabs. Slabs are mammoth sized crisps. Not only are they big in size but they are also very thick too. Not as thick as wedges but they certainly pack some chunkiness compared to the rest. These are like big chunky man sized crisps. The sort you could imagine a group of men on a building site happily tucking into. Of course anyone can eat them and they are also full of awesome flavour too. There are five flavours in total to choose from, so a bit of something for everyone. Most of the flavours being based around more traditional crisp flavours such as the mature cheddar and onion and the salt & malt vinegar. For those who don’t like the flavoured crisps there is a sea salt variety too. My favourite being sweet red chilli. Two packet sizes – a 40g single serve and the larger 80g bag for the greedy gets! I think the larger may be meant for sharing? As these crisps are so big and thick, the way a crisp should be, it means hardly any crumbs. The odd chipped off chunky broken bits maybe but no small crumbs at the bottom of the packet with these. 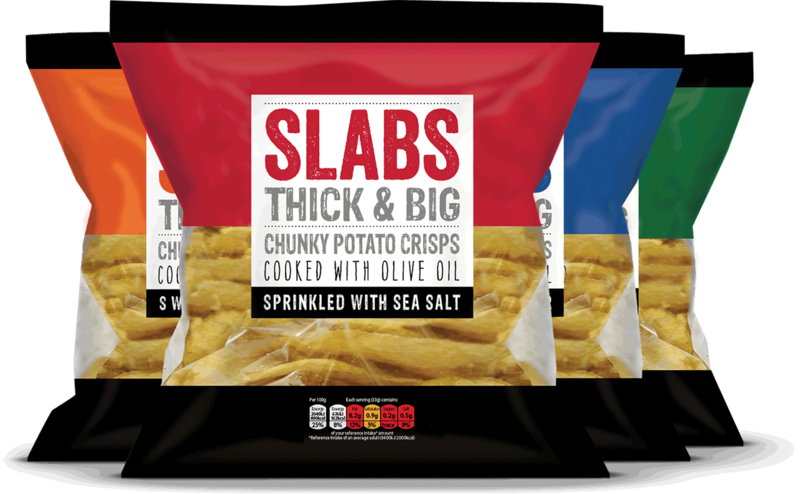 Slabs are a very new product so are only available to buy in a few select stores at the moment. They are available to trade via the slabs website and will be on display at various foodie fares and shows across the country. I am hoping the crisps will appear in local stores or supermarkets in the near future.